Industry 4.0 has been presented as the latest industrial revolution. 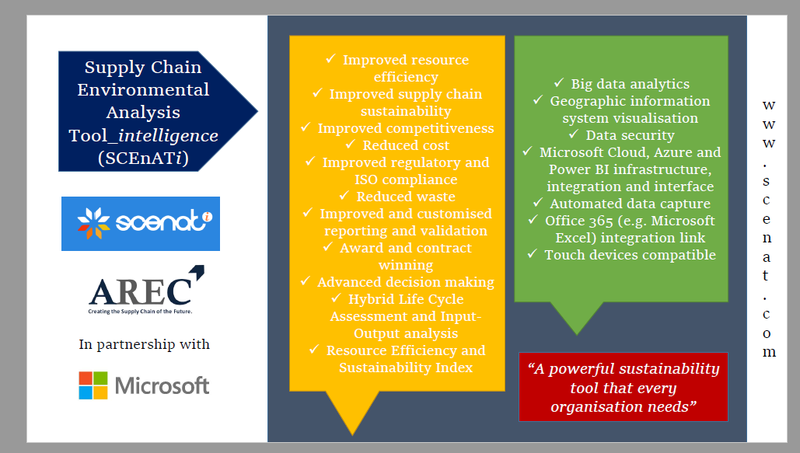 It has a major role in transforming theWorld’s industrial processes within organisations and across the supply chains. This can be achieved using large-scale Machine to Machine (M2M) and Internet of Things (IoT) deployments to increase efficiency and productivity in supply chains across sectors. Factories will become increasingly autonomous with closer integration between machines and workforce, providing a seamless process with minimal waste. Industry 4.0 will use the IoT and cyber-physical systems such as sensors to collect data. Such advances enable big data analytics and the creation of intelligent supply chains. 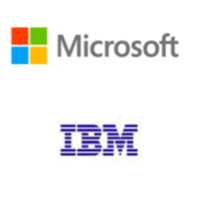 In the recent Build 2018 Conference, Microsoft has set their vision and priority in the role of future technology, their advancements, new tools and Cloud services to help developers create a better, safer, more just World. Artificial Intelligence (AI) is at the heart of these advances, which brings together societal need, Intelligent Cloud and Intelligent Edge. In the next 10 years, billions of everyday devices will be connected — smart devices that can see, listen, reason, predict and more. By eliminating inefficiencies across the supply chain, supply chain productivity will be improved. To achieve this, intelligent data management will play a critical role. New digital technologies are enabling new levels of increased connectivity and the more effective use of data. Advances in technology are enabling more data to be collected more quickly and this data can be easily accessed from multiple sites, safely shared between different partners in a supply chain, and more effectively analysed. These technologies allow manufacturers to respond to increasing consumer demands for faster delivery and more personalised products and services. A transition in the way that supply chains operate from the current linear supply chains (with limited use of data and new technologies) to a digitally connected supply chain network supported by these technologies. Such an environment requires integrated intelligent supply chain and future network and system capable of seamless transactions and management of flow of assets, goods and services (tangible and intangible). SCEnAT 4.0 for Industry 4.0 which embrace Blockchain, Artificial Intelligence (AI) and Machine Learning (ML) solution will transform future supply chain to a digitally connected system and network. SCEnAT 4.0 Design Thinking workshop in the autumn working with industry leaders and key partners considered Blockchain, AI and ML integration into SCEnAT 4.0 Azure Cloud Platform. Microsoft Research and AREC are working in partnership on this. Interoperability with blockchain has also been considered. SCEnAT 4.0 embeds Microsoft AI and ML, advances and augments the digital intelligence analytic capabilities with cutting edge technologies, and scales up the eco-system. AREC is gamifying SCEnAT Suites Cloud Platforms. This work is funded by EPSRC SubST and DARE. An alpha version of SCEnATAR is available. The release of the complete version will be done soon. 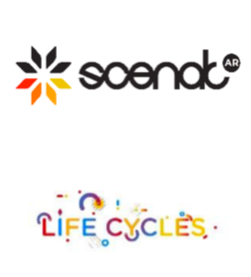 SCEnATAR integrates Augmented Reality (AR) into SCEnAT Suites Cloud platforms making the life cycle educational experience fun, exciting and engaging. SCEnATAR was launched at the Materials Exchange Conference in London. Feedback from users were used to refine the educational game, and the full alpha version was launched and played at the Beer Festival in Sheffield. AREC is working on further fine tuning and introducing new features into SCEnATAR towards a complete version of the game. We are pleased to invite you, our strategic industry partners and AREC Board Members to attend the launch of SCEnATi at the Sustainable Economic Growth event on the 30 November 2016 to be hosted by DLA Piper in Sheffield. This is an excellent opportunity for non-AREC members as well to join our team and attend this event ! This event will debate the key issues and highlights from the Chancellor’s Autumn Statement and the United Nations Climate Change Conference, and the role of SCEnATi, which is the result of a collaboration and strategic partnership with Microsoft supported by their advanced technological infrastructure, and built from a different product, SCEnAT+ released in Microsoft in London last year. The event includes drinks reception and business networking, where the new product will also be demonstrated. We very much look forward to seeing you and catching up with you there on the 30 November 2016. Join us for an evening with drinks and canapés to celebrate the launch of SCEnAT+ with speakers from Northern Powerhouse, Microsoft, Shaping Cloud, DBL Logistics and the University of Sheffield. Companies can now calculate their direct costs for supply chain processes based on the monetary values of input products in their supply chain. The SCEnAT tool will visually display economic hotspots in the supply chain which will clearly identify to users those processes within the supply chain that account for more than 10% of the total economic cost in the production process. Indirect costs can also be added by selecting ‘missing inputs’, and the monetary values from the input-output database integrated into the SCEnAT tool will be used to identify the financial value of goods and services deemed beyond the control of the company. The new benchmarking functionality will report typical environmental impacts related to ‘average’ supply chains (built using input-output tables). This will enable companies to compare life cycle carbon emissions and hot spots against those associated with the ‘typical’ company within their industry. This functionality will enable companies to identify relatively inefficient processes (from a carbon emission perspective) and take steps to improve their environmental sustainability and competitiveness. Companies will now be able to select up to 5 key environmental impacts from a list of 277 indicators from the ECOInvent database. The tool will calculate life-cycle impact intensities of new indicators using the impact intensities and will determine the break-down of emissions of each indicator by supply chain process. Companies will be able to compare their environmental performance beyond carbon emission measures, demonstrating environmental sustainability to consumers, industrial customers, and to comply with specific governmental environmental legislation. Scenat is a revolutionary system in many ways, not least in the technology that powers it. Built using the Microsoft Windows Azure Cloud platform, the system architecture has now been officially recognised by the Redmond giant with a full case study of scenat.com going up on their official Case Study website. Both the team here and our technology partners Shaping Cloud are extremely proud of this recognition and we will strive to make sure the tool stays at the cutting edge. You can read the case study here. Welcome to the all new scenat.com! The Supply Chain Environmental Analysis Tool has been in use for over 12 months by a small selection of companies working in partnership with the University of Sheffield. Today we are pleased to announce that the tool is now generally available! If you would like to see how scenat can benefit your business or organisation please get in touch with the team or Register here. Together, we can make scenat even better!